﻿Published by Sareth Ney on June 17, 2016 at 3:10 a.m. 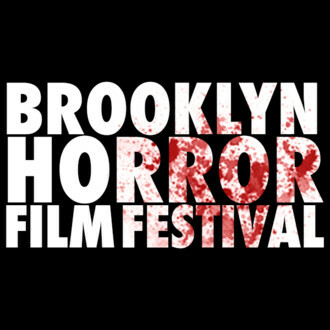 Updated on June 18, 2016 at 5:31 a.m.
BROOKLYN, N.Y. – Brooklyn Horror Film Festival will take place at multiple venues, from Oct. 14 through Oct. 16. Locations will be announced, as the dates approach. Justin Timms is the festival director, Christopher Burke is the administrative director and Jess Byers is the festival producer. Even though Brooklyn Horror Film Festival includes the genre of horror in it, they welcome all genres including: comedy, documentary, drama, science fiction and more. They encourage filmmakers with a fun vision to submit their works. Outside of the festivities—there will be parties, question and answer sessions, panels, events, food, drinks and more. Starting the Brooklyn Horror Film Festival is a screening of Mickey Keating’s “Carnage Park”. It will be showcased on June 22 and takes place at the BK Horror Club. The synopsis of the film is two crooks kidnapping a hostage at a failed robbery try. They are pursued by the police in a high-speed chase and lead them to be in a prey versus predator situation with a highly trained, emotionally extreme killer. Tickets are $10 each and it is sponsored by Coney Island Brewery. Films must be submitted through filmfreeway.com here and is currently in the extended deadline stage. The notification date for entries is set for Sept. 16. Those wanting to submit a film can find the rules and terms of the Brooklyn Horror Film Festival. It features which awards and prizes will be awarded at the inaugural event. Festival badges to attend Brooklyn Horror Film Festival are $75 and with a handling fee of $4.75 each. With the badge, attendees can attend six film screenings. They also have access to all the festival parties on site. They have a choice to select which films they would like to view before the general public. The badge comes with a lanyard and a gift bag. Sponsors, media partners and friends of Brooklyn Horror Film Festival include: Uber, Screencraft, Throne, Syndicated, Bruce Cost Ginger Ale, Boroughs of the Dead, Brooklyn Bean Roastery, Essentia, Hattan Media, We Got This Covered, Coney Island Brewing Co., El Buho Mezcal, BK Horror Club and Brooklyn Music Festival. To visit Brooklyn Horror Film Festival’s website, please click here. Like them on Facebook, by clicking here. Follow them on Instagram, by clicking here. Click here, to follow them on Twitter. Reach them by email, by writing to brooklynhorrorfest@gmail.com. They can be reached by telephone by calling (718)-386-3793.